After a short briefing we leave Johannesburg on a scenic drive through Mpumalanga and the breathtaking vistas of the Lowveld. Blyde River Canyon, God's Window and Bourke's Luck Potholes will be some of today's highlights. 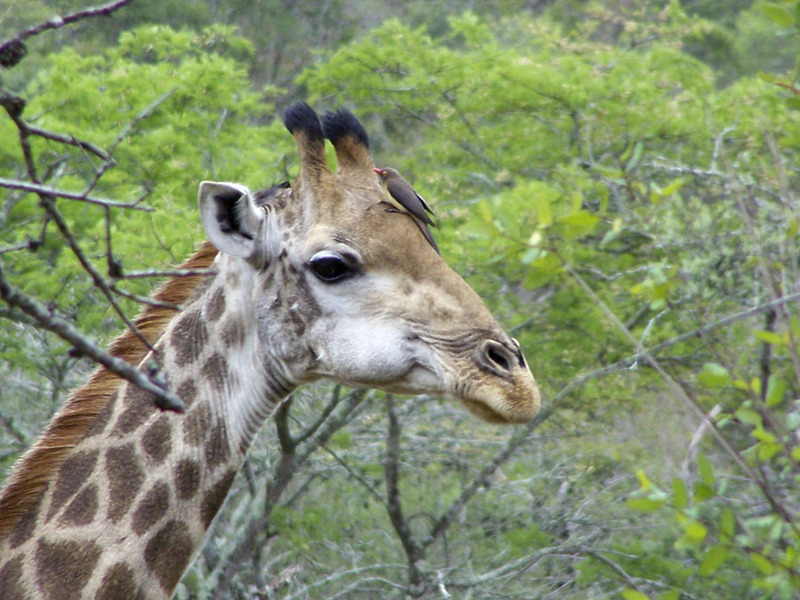 We get up early and visit a wildlife rehabilitation centre for an educational experience and then enter the world famous Kruger NP. The next two days are spent exploring the southern Kruger area and we have a good chance of sighting Africa's famed Big Five. An optional night drive with one of the South African National Park (SANP) rangers is an excellent way to see some of the nocturnal animals. Optional Activities: SANP Night Drive. Today we leave the Kruger NP and cross the border into Swaziland. We spend the next two nights in the Mlilwane Nature Reserve where we are able to explore the area on foot. We also experience the wonderful Swazi culture when enjoying a display of traditional dancing. 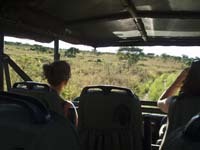 Optional Activities: Mountain Biking, Hiking, Horse Riding and Game Viewing. We leave Swaziland and re-enter South Africa to drive down to the warm Indian Ocean coast. We spend the afternoon exploring the Greater St Lucia Wetland Park and take an afternoon sunset cruise on the lagoon. The following morning we transfer to the Hluhluwe-Imfolozi Game Reserve for a guided game drive. We enter the coastal city of Durban in the late afternoon. Optional Activities: Dinner and night out in Durban. We leave the beautiful beaches of KwaZulu Natal, and travel inland to the Royal Natal NP, part of the massive Drakensberg escarpment. You can choose between many activities, including horse riding. A short guided hike to view Bushmen rock art can be very enjoyable. After a long but scenic drive we cross the Lesotho border. The popular pony trekking excursion requires an early morning of those who are participating. Lesotho natives will guide you along remote trails and the scenery is spectacular. For those who prefer to remain at the lodge there are more relaxing activities available, such as a visit to the village school or craft market. 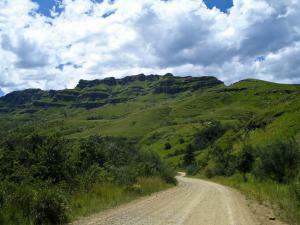 We leave Lesotho and drive south to the picturesque Hogsback valley. In addition to a gentle hike into the surrounding forest your guides will also provide information on the other available activities in this area. Optional Activities: Horse riding, Mountain biking. As the name suggests, the Addo Elephant National Park is full of elephants! These magnificent creatures are always a highlight and you will be sure to get some superb photos. After an early morning game drive we bid farewell to the elephants and drive to Port Elizabeth. All of our tours are priced on twin share accommodation. The single supplement is not compulsory on our camping tours but if you want your own tent you need to pay the single supplement. If you are booking one of our accommodated tours alone you have to pay the single supplement. This is an optional additional payment that covers what we consider to be "essential activities" on our tours. Ideally we would include all of these, but not everyone can afford this. This payment is 100% transparent and is listed under the itinerary of the tour and in our pre departure information document.